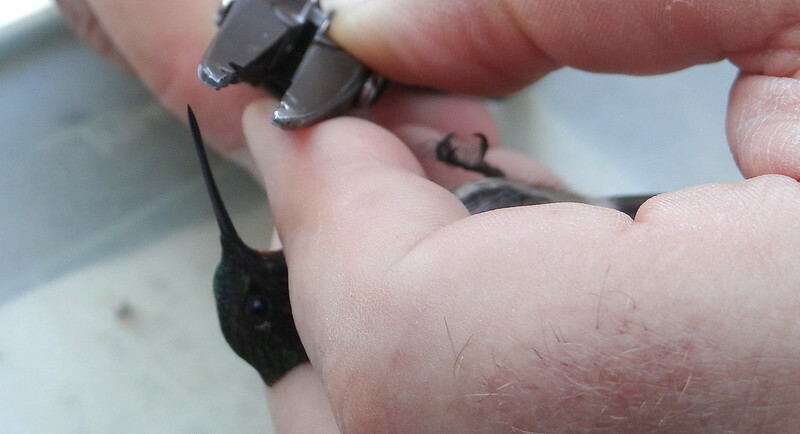 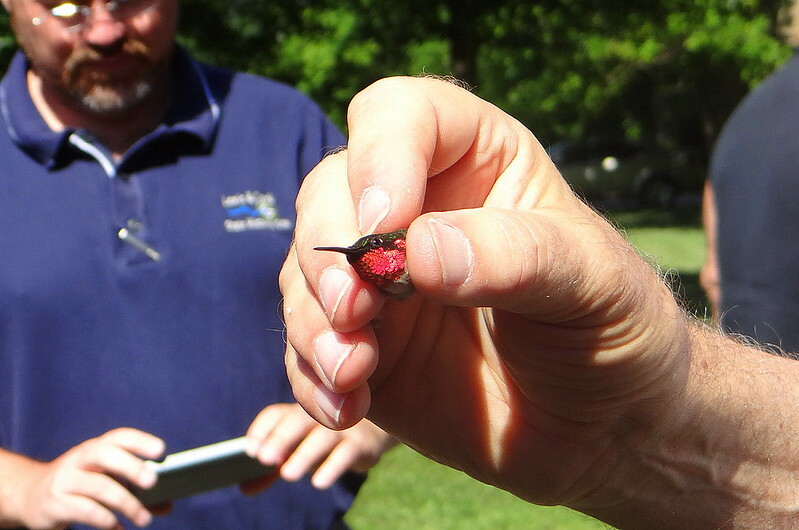 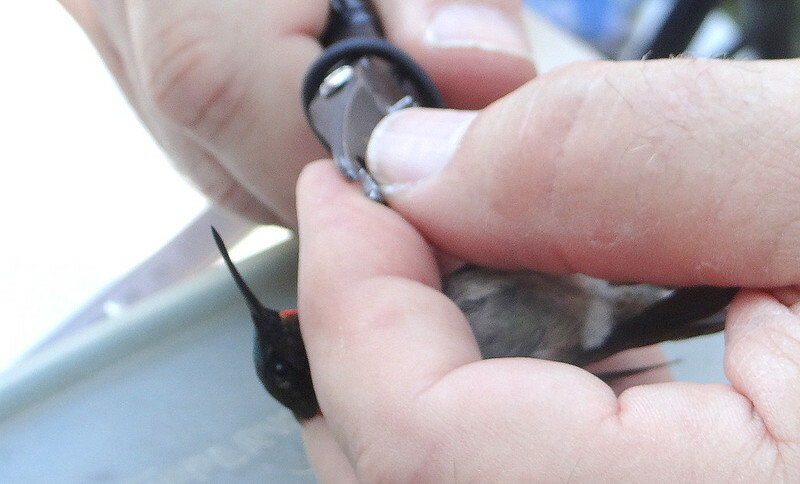 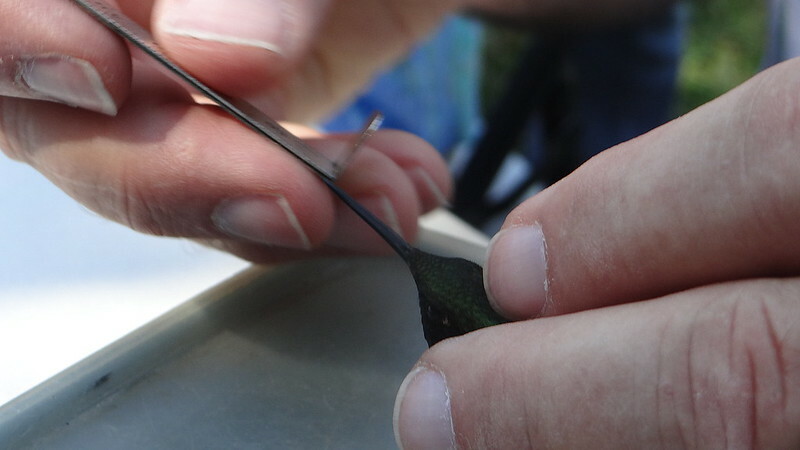 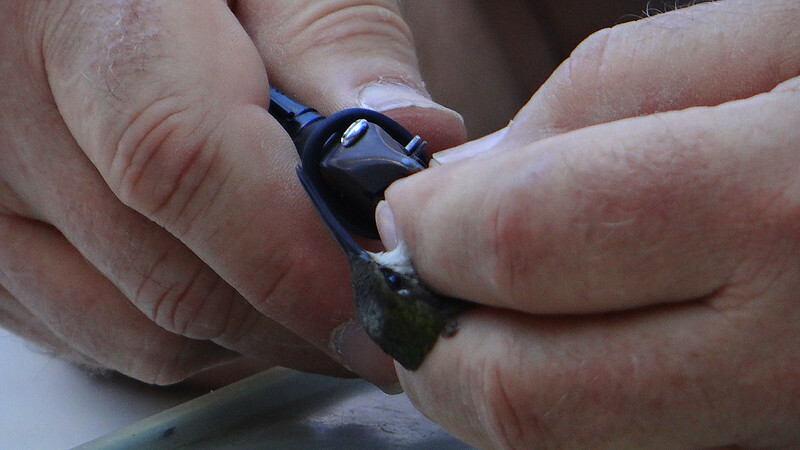 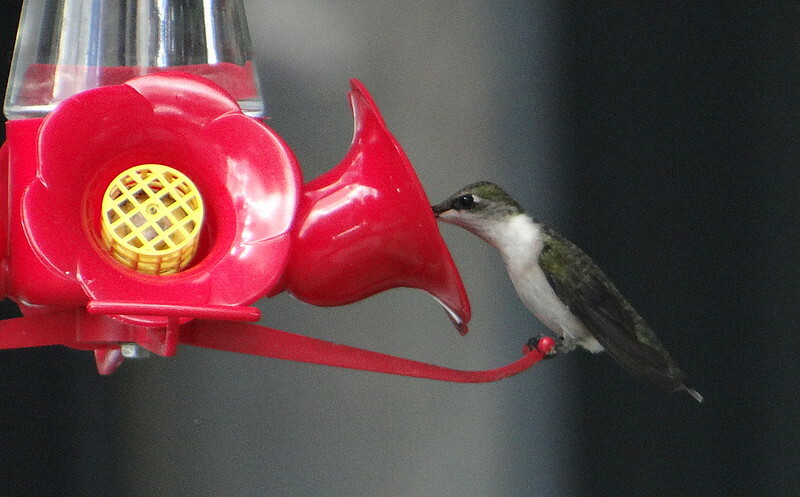 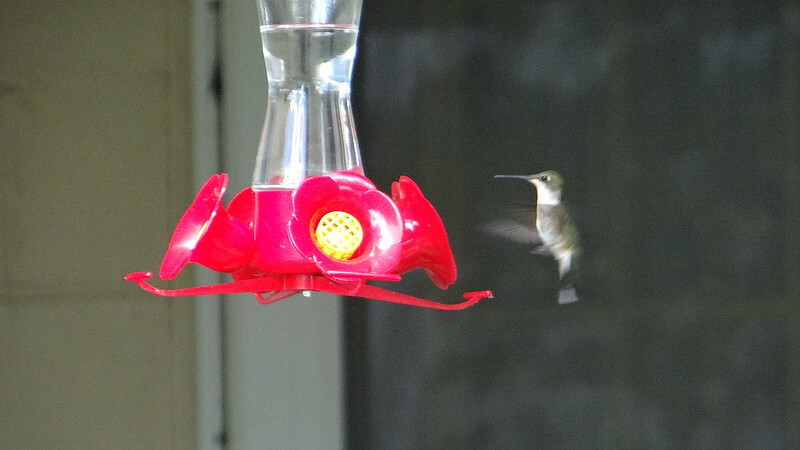 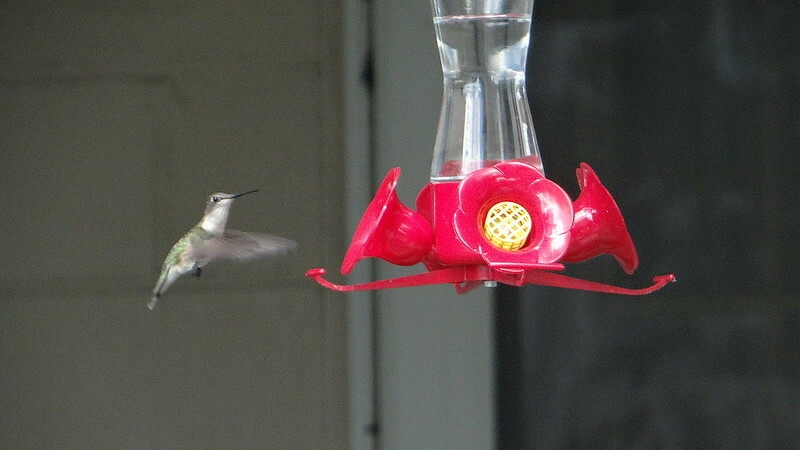 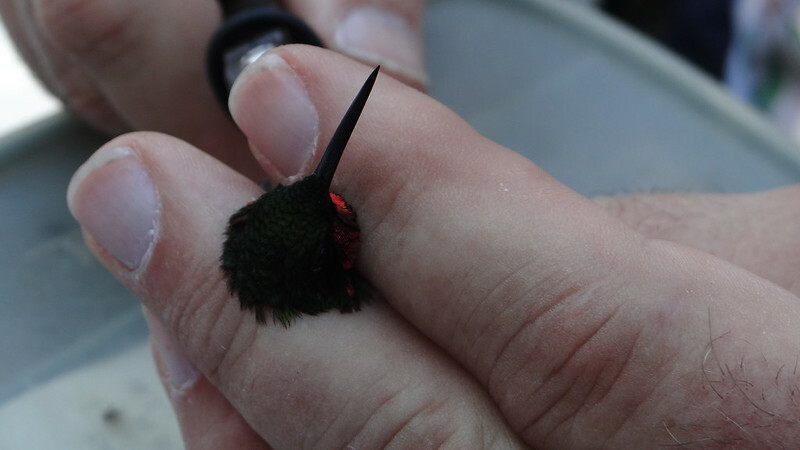 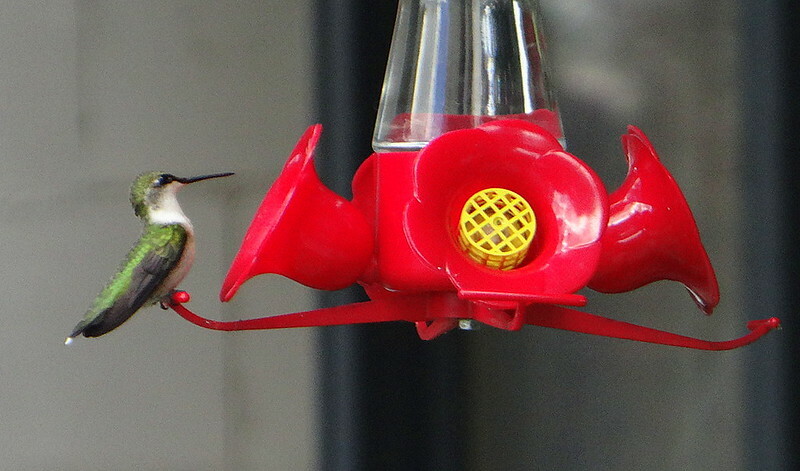 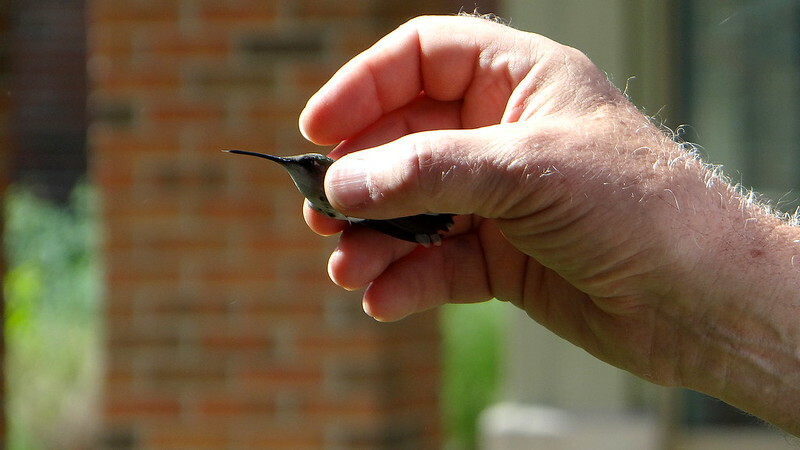 Missouri has only one Hummer the Ruby-throated Hummingbird. 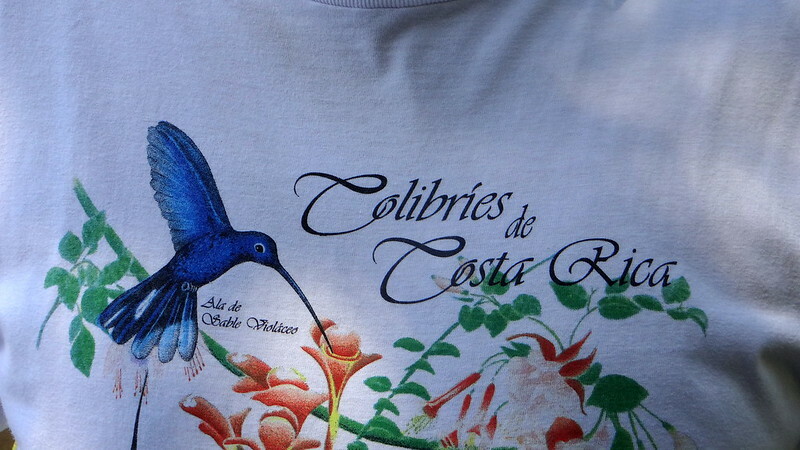 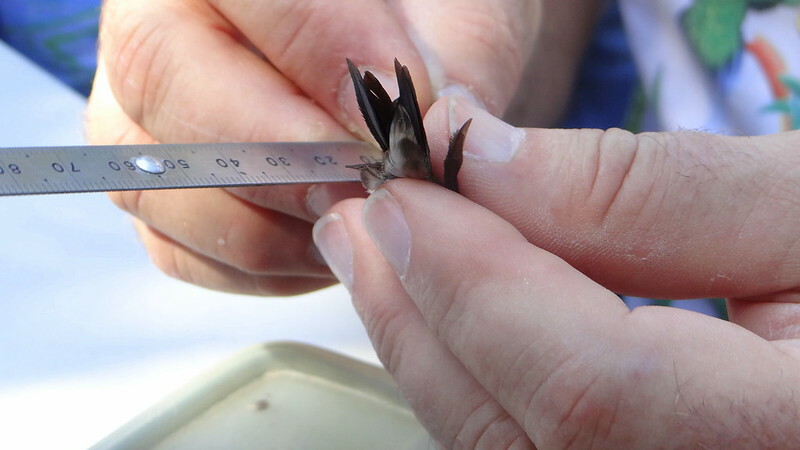 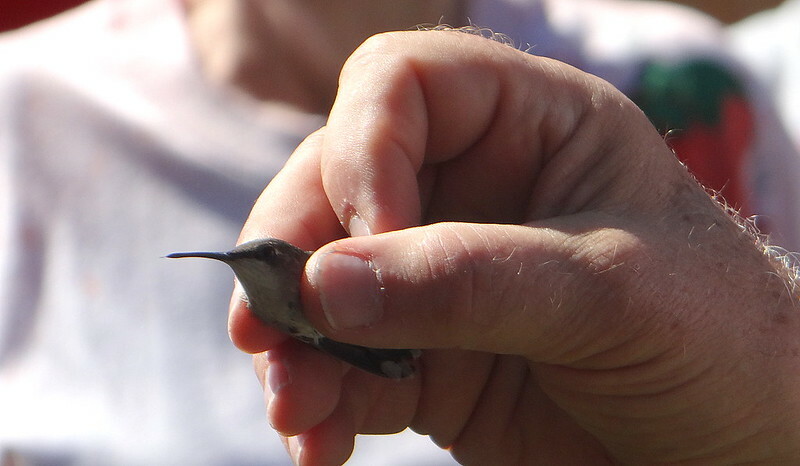 Click on the bird’s name, above, to go to the Wiki entry about this tiny bird. 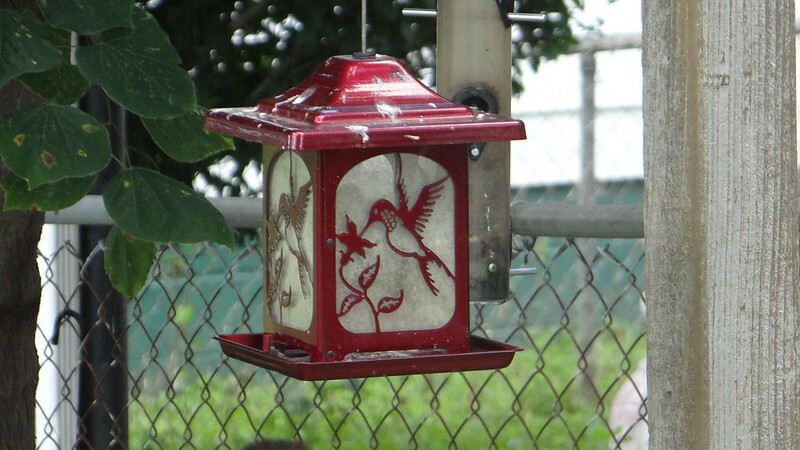 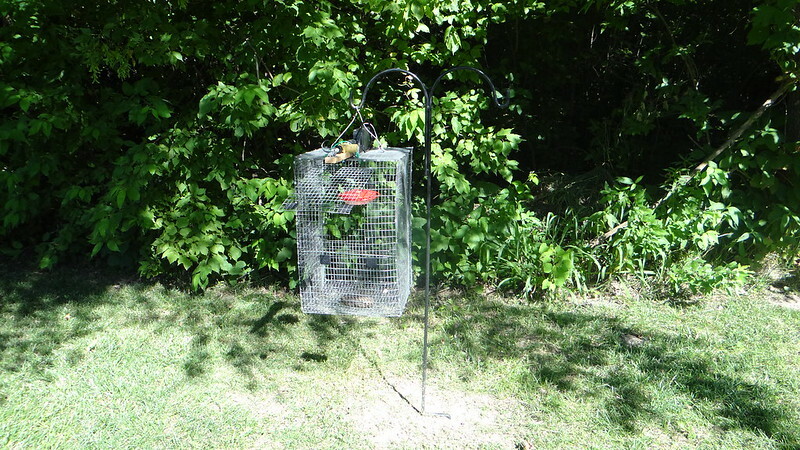 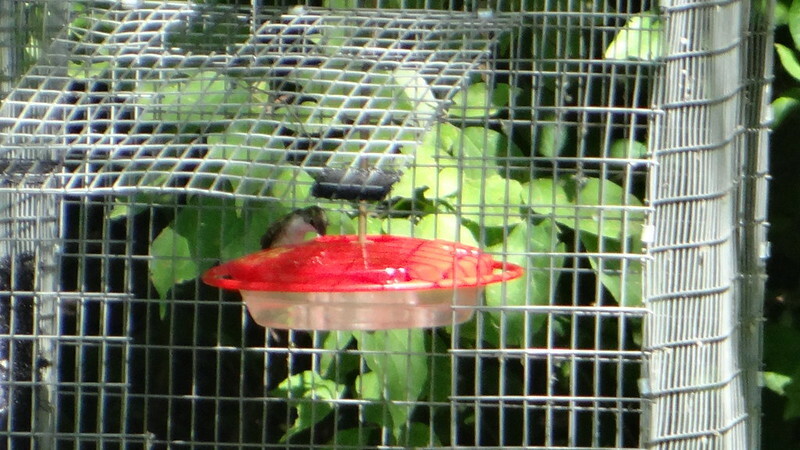 The Hummingbirds enter the open cage for the food, and the door falls shut. 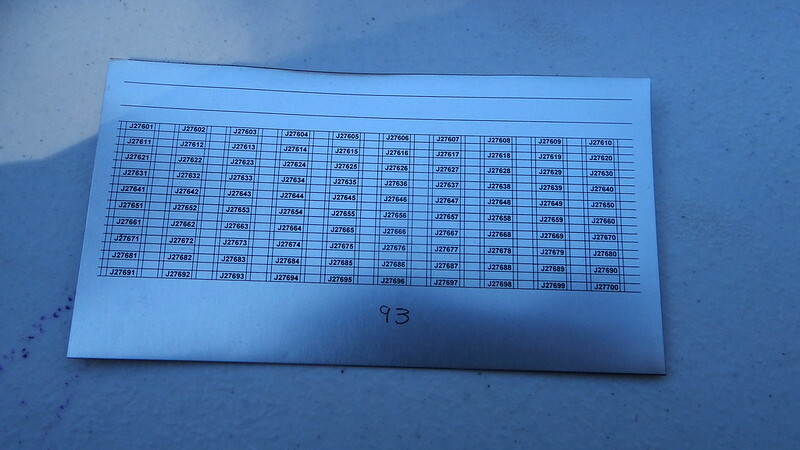 they are, apparently, made of aluminium. 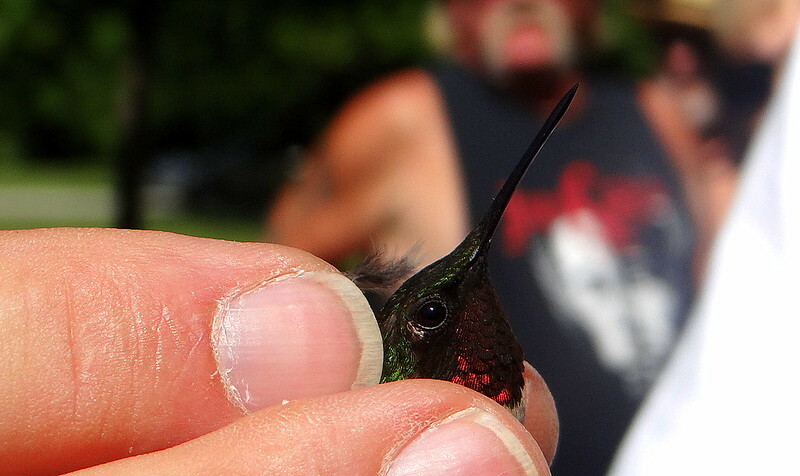 This pink bag contains a Hummer! 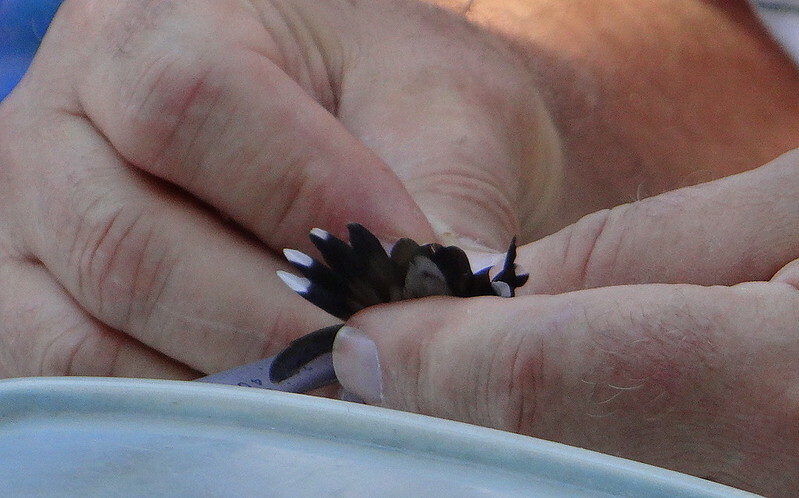 But how delicately and expertly it is done! 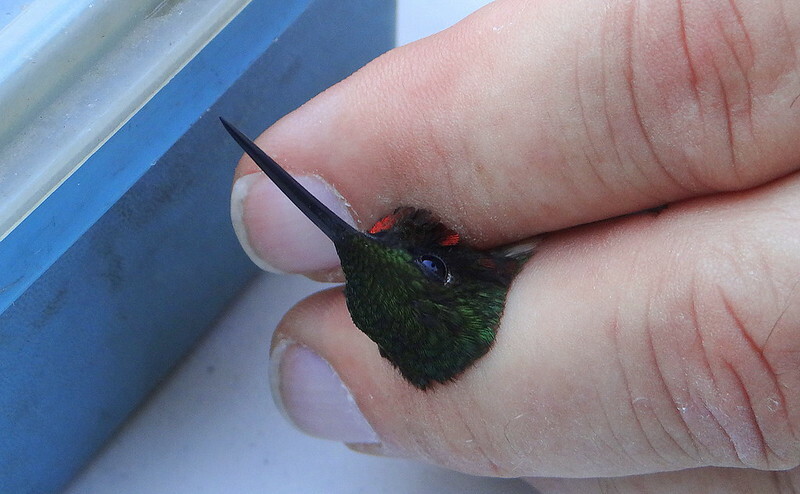 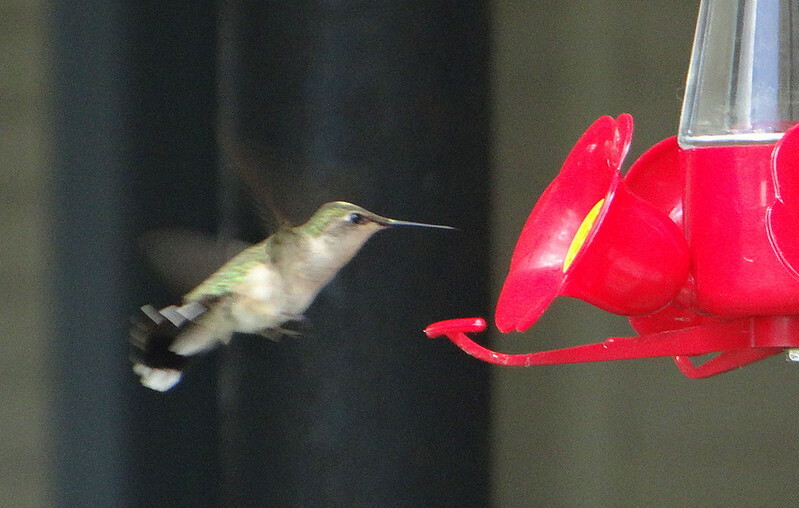 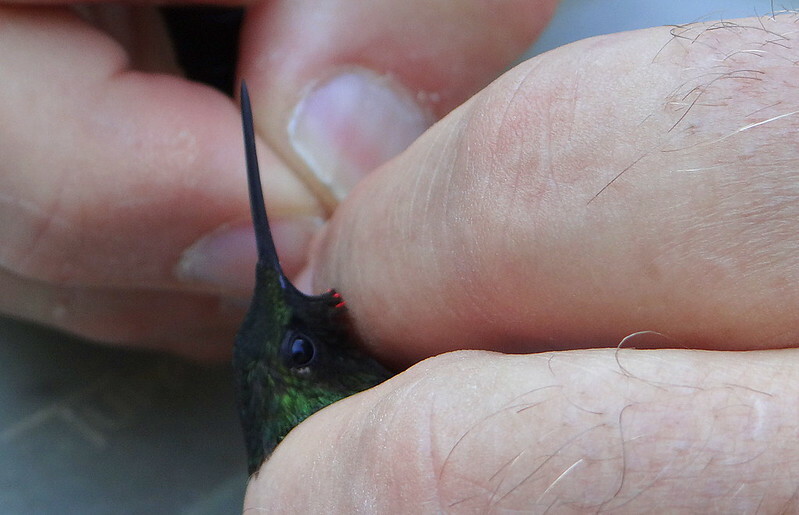 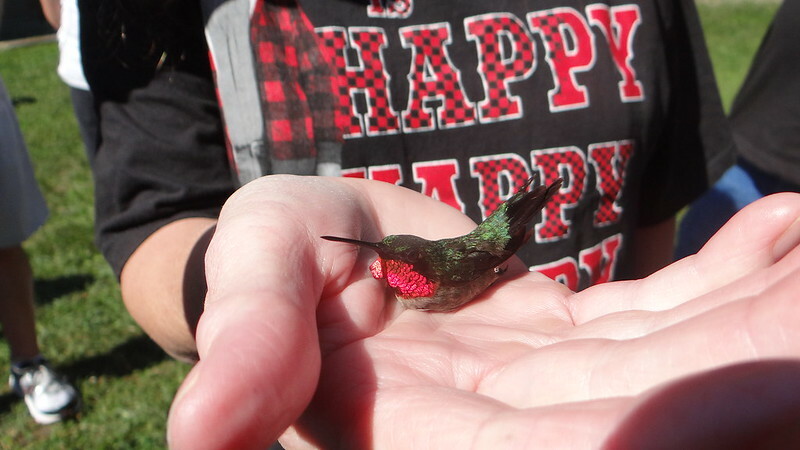 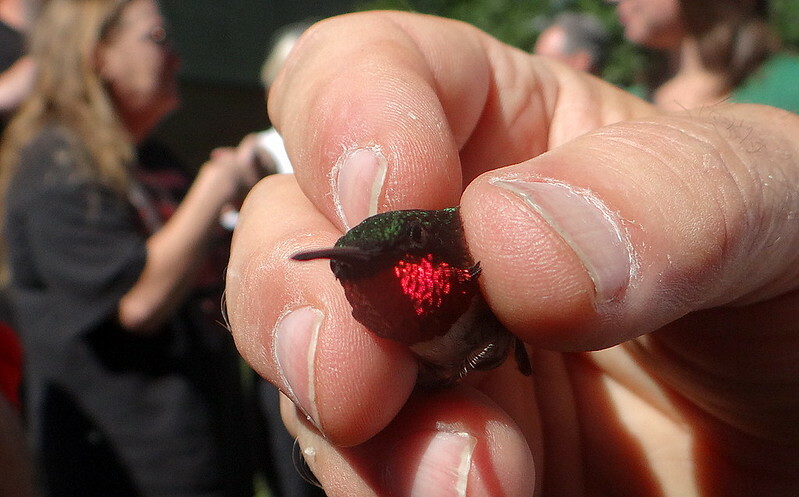 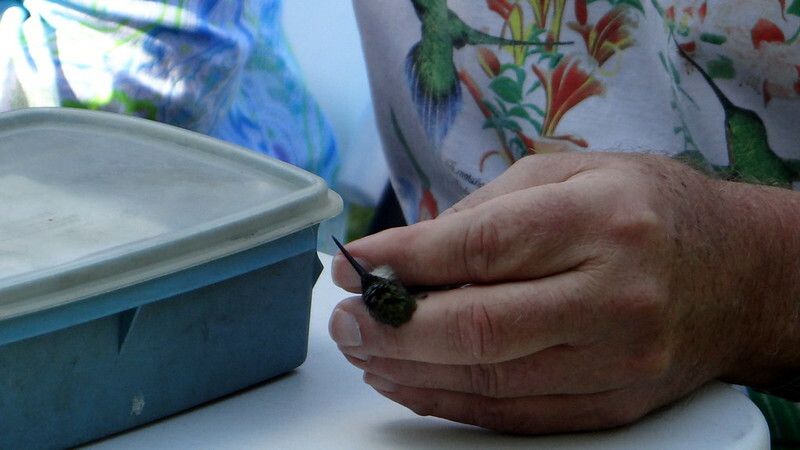 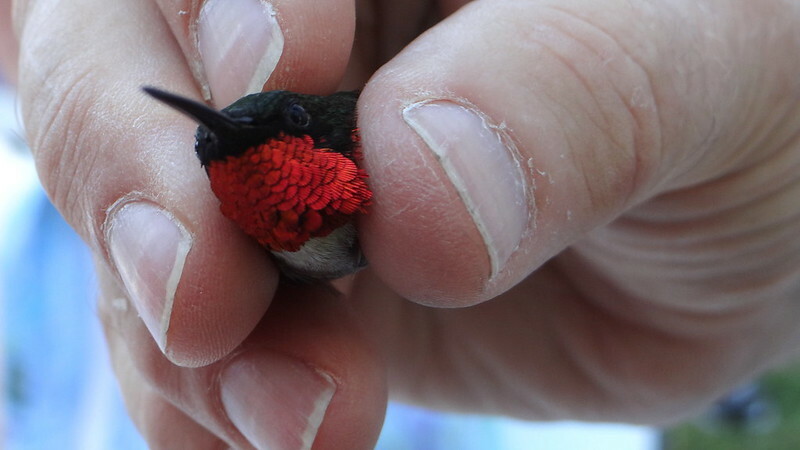 What a beauty the male Hummingbird is; it’s so clear to see why it’s called Ruby-throated! 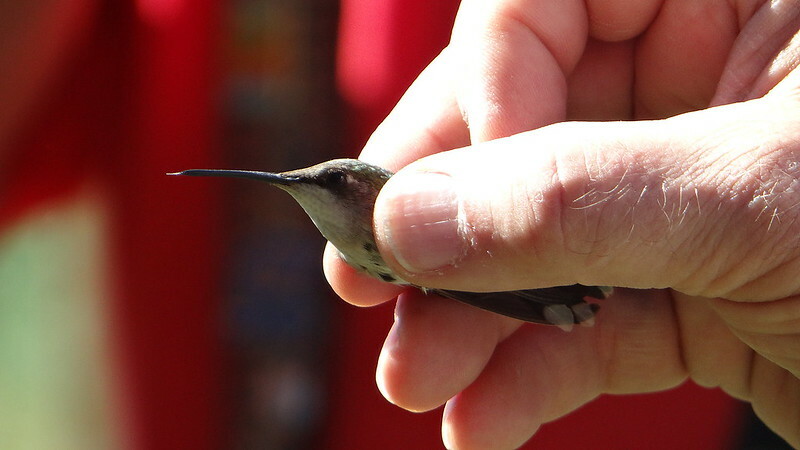 The tiny bird lay inert for a while on the palm, rather mesmerized and not knowing that it was now free to go…and then..off it went! 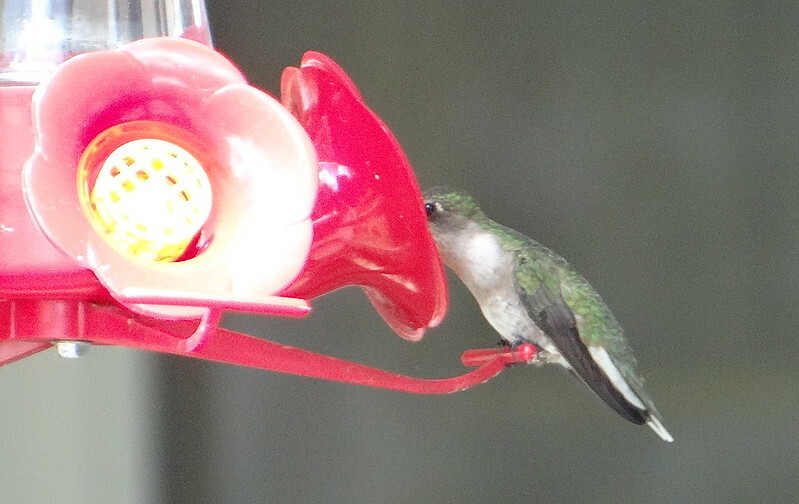 We saw a lot of other birds, watched towboats and wooden boats, saw a bit of how America was in the past, but the Hummingbirds crowned our day. 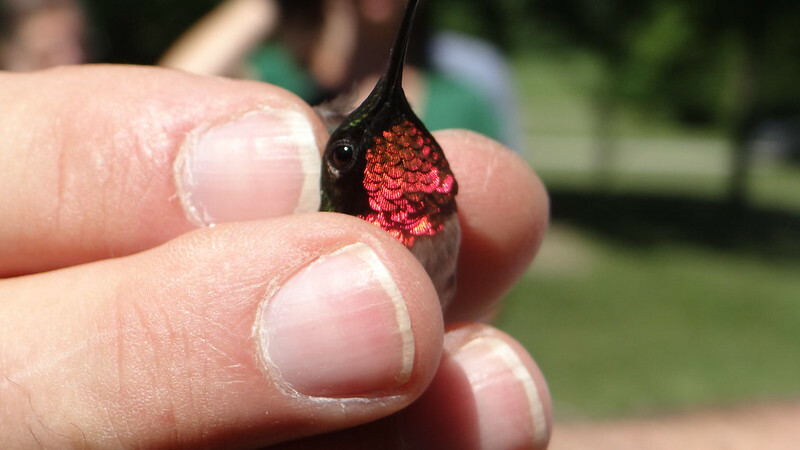 Such tiny, zipping scraps of utter beauty and delight! 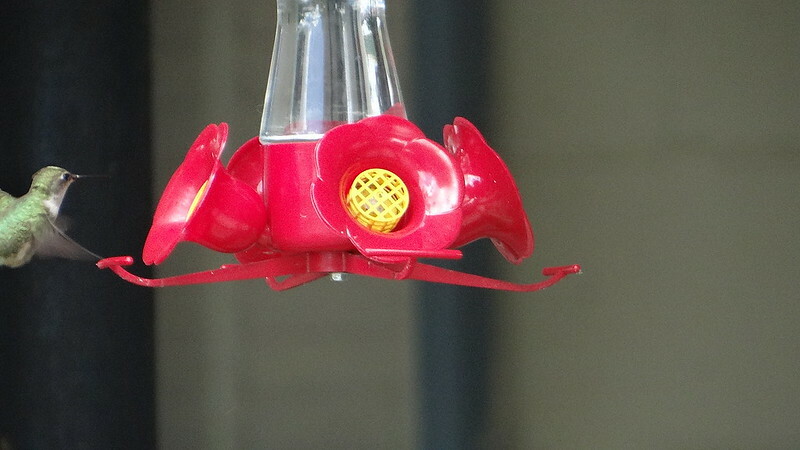 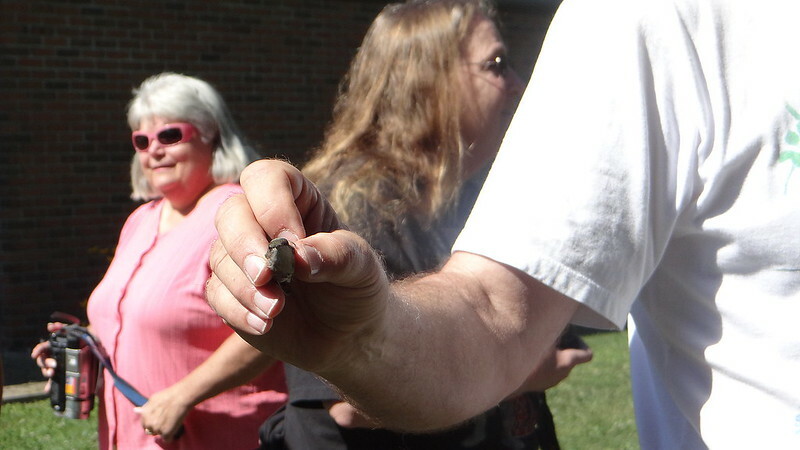 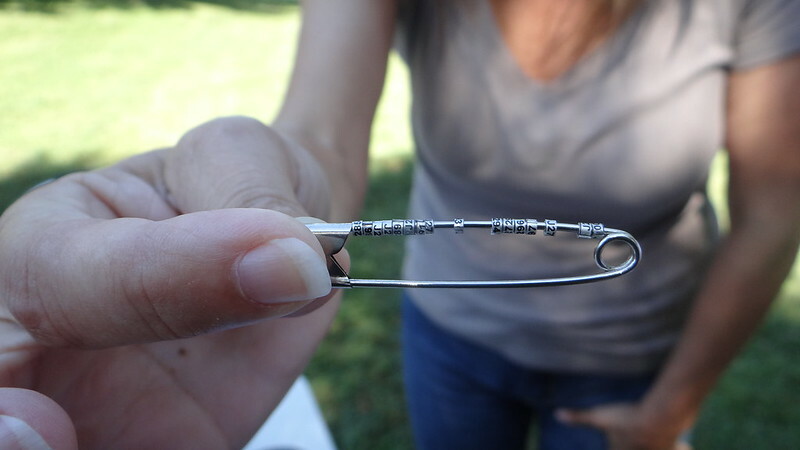 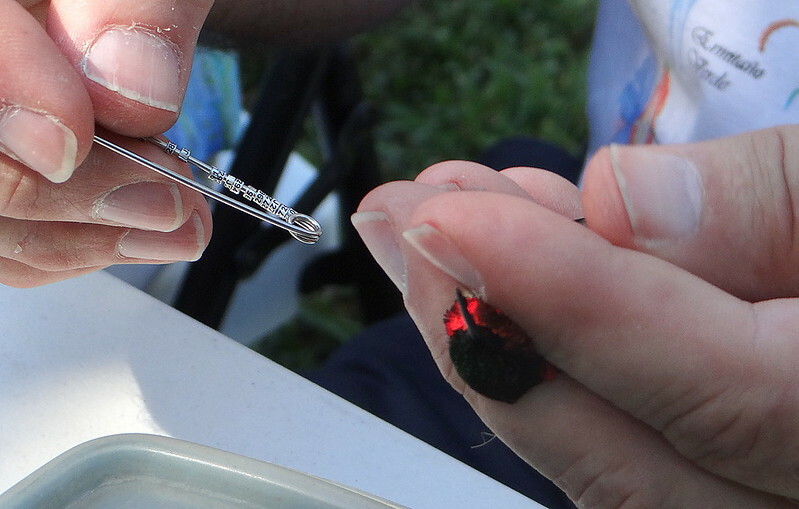 On Sun, Jul 28, 2013 at 8:07 PM, Jack or Ginger McCall wrote: Deepa, The hummingbird bander at the Festival in Hartford IL yesterday was Vernon Kleen, email address: vkleen@comcast.net . 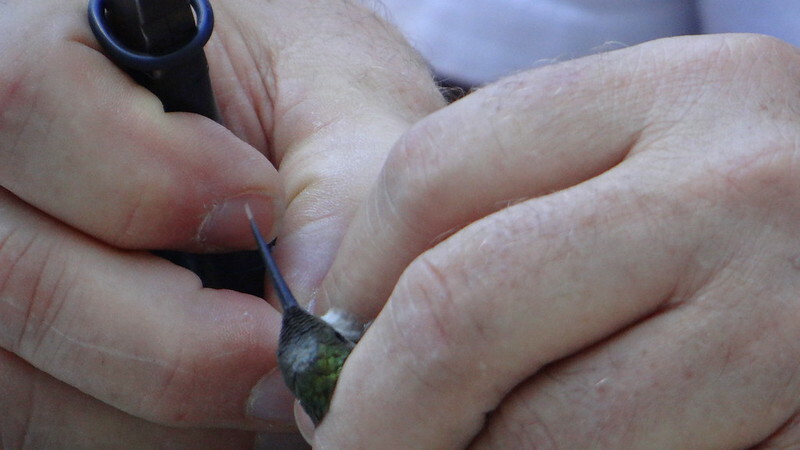 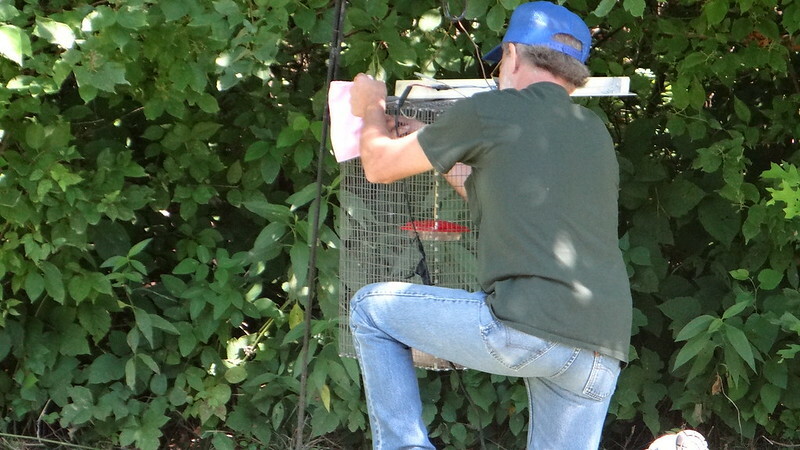 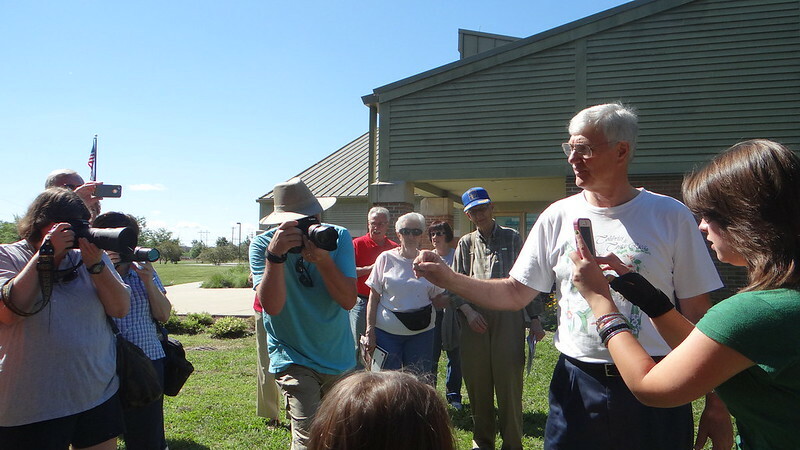 He is from Springfield and has been banding birds for years.He is a retired biologist with the Illinois Dept of Natural Resources. 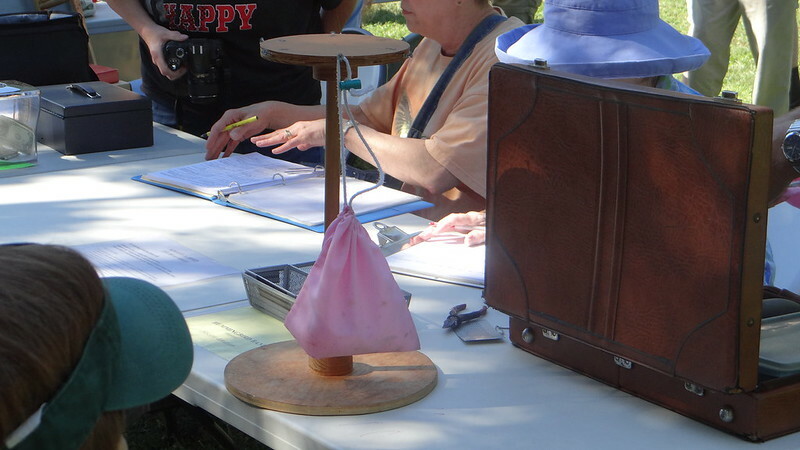 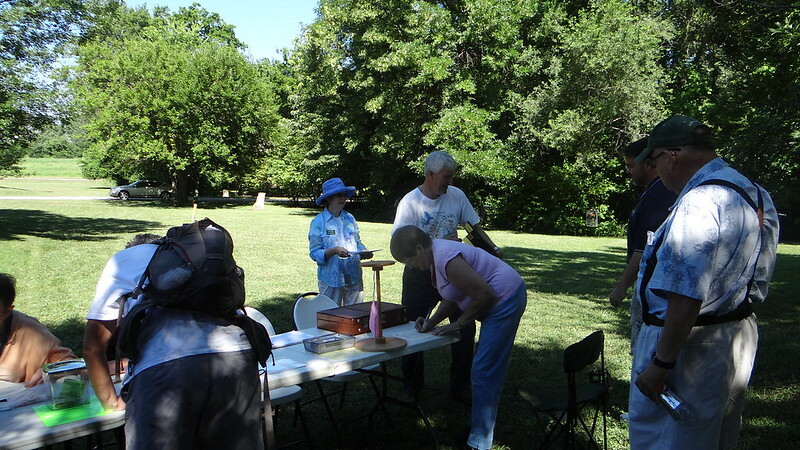 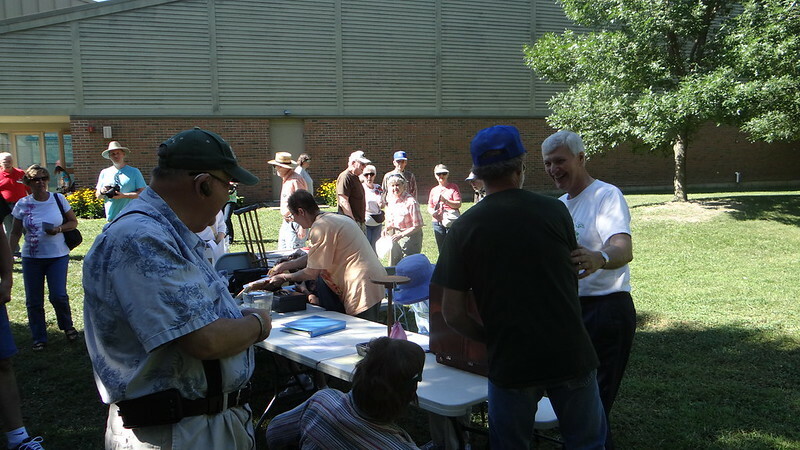 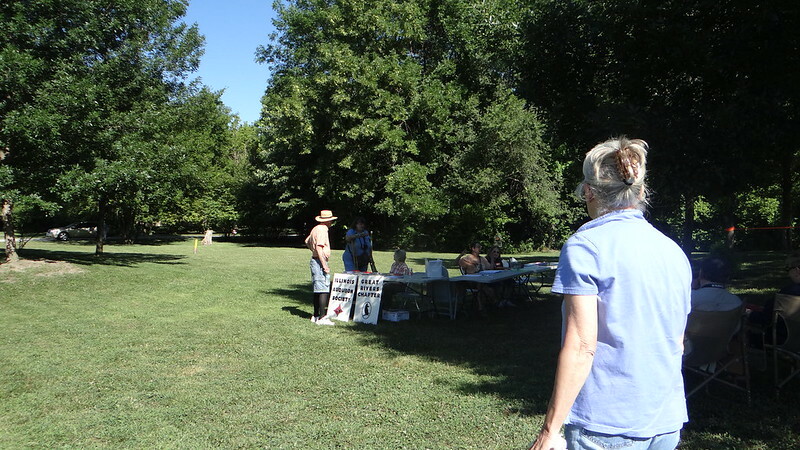 The person that did the most work for setting up the festival was Irma Holmes, email address meows@madisontelco.com She is with the Great Rivers Chapter of the Illinois Audubon Society (IAS). 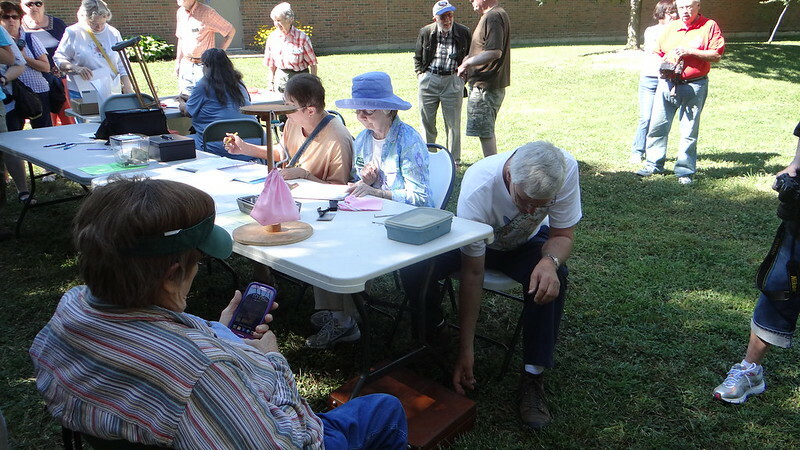 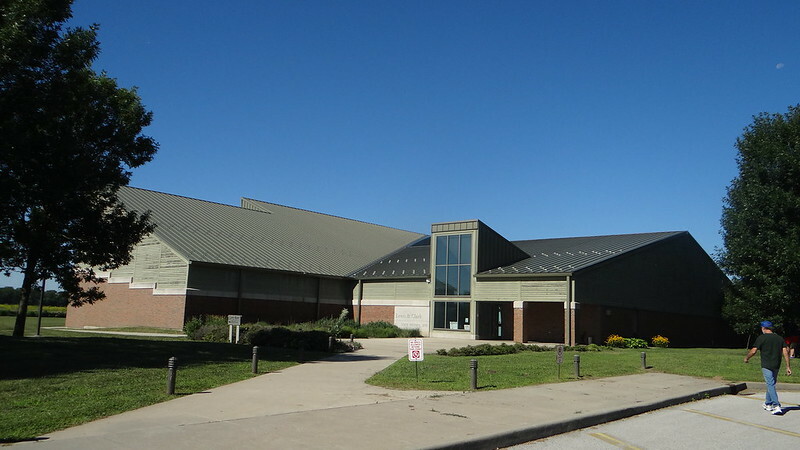 The IAS promotes festivals all around the state during late July and into August. 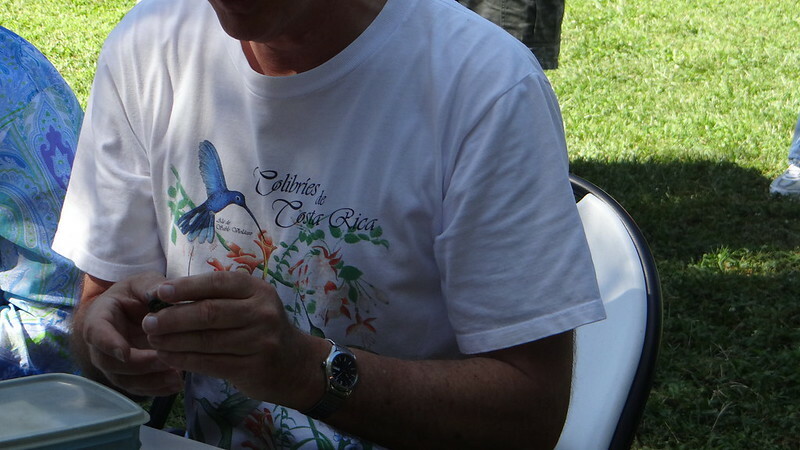 Aren’t they wonderful events?